You are receiving this email because the email address [email address suppressed] was subscribed to our email list. Having trouble reading this email? View it on our website. Forward this message to a friend! Hank Beal, our director of adult beverages, takes you through some of the best deals on sparkling wines and Champagnes to ring in the New Year in this video. Plus, discover some great cheese pairings to go with your bubbly beverages! Cook something glamorous this New Year’s Eve! For a swanky appetizer, nothing beats Extra Large Prawns. We have them on sale this week, already cooked, peeled and ready to serve, for only $8.99/lb., save $6/lb. 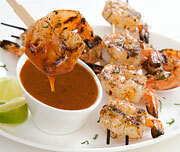 Serve them with a classic cocktail sauce, or mix it up and try our tasty Chipotle-Honey Dipping Sauce Recipe. Check out our ad for even more deals! Swing by our Vacaville Nugget Market for sparkles and bubbles: Champagne and sparkling wines will be available for tasting on Thursday, December 30, from 5 p.m. to 7 p.m.
For more information on upcoming events in your community, please visit the events section of our Web site. Prices valid 12/29/10 – 01/04/11. New Year's Eve – Serve up some luck! In Spain, people ring in the New Year by eating a dozen grapes at midnight, one with each stroke of the bell; each grape represents a good month. 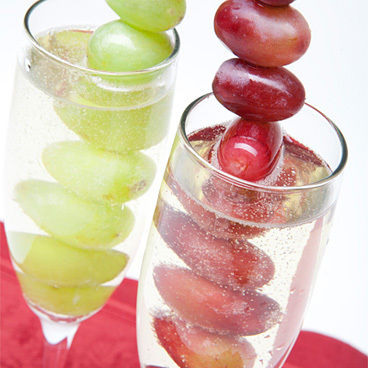 To add this tradition to your festivities, try skewering the grapes and serving them in a glass of champagne or sparkling wine. We recommend the Segura Viudas Cava from Spain, $7.99, save $2. In some countries, people associate fish with moving forward into the New Year, because fish swim forward. Other people think fish symbolize abundance, because they swim in schools. 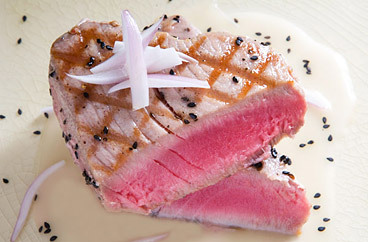 For a tasty New Year’s Eve fish dish, try serving some wild-caught ahi tuna steaks, available in our seafood department and on sale this week for $8.99/lb., save $5/lb. Many countries view pork as a lucky food because of the behavior of hungry pigs. As pigs root for food, they keep their feet planted and push their snouts forward, signifying progress and future prosperity. 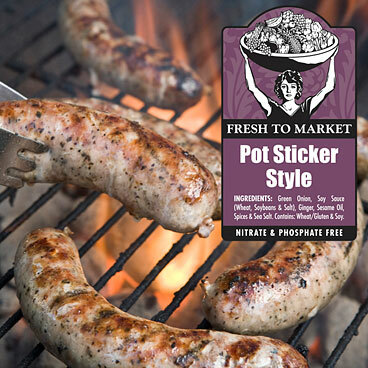 If you want to serve a pork dish for the New Year, try our new Pork Pot Sticker Style Sausage, for a twist on traditional pork. It’s on sale this week for $3.99/lb., save $1/lb. 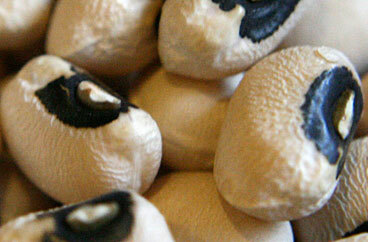 Thought to resemble coins, black-eyed peas expand as they cook, symbolizing growing wealth. Black-eyed peas are on sale in our produce department for only $2.36 per 11 oz. container. Or make it super easy with Trappey’s canned black-eyed peas (15.5 oz. can), on sale for 99¢ each, save 80¢. Greens, such as kale, collards, and cabbage, are eaten on New Year's Day because they are often associated with wealth and economic prosperity. Try them braised for a hearty cold-weather meal. 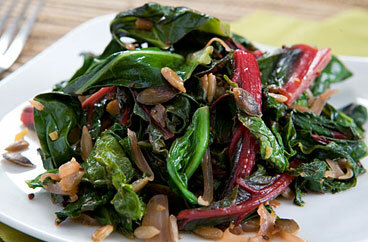 We’ve made our Braised Greens recipe as simple as possible – quick and easy to make, with toasted seeds, just a little tang from the lemon juice and the natural richness of olive oil. When people in China celebrate New Year's Day, they often set out bowls of oranges and tangerines to promote prosperity. This tradition developed from a play on words: "tangerine" and "orange" sound much like "luck" and "wealth," respectively, in the Chinese language. 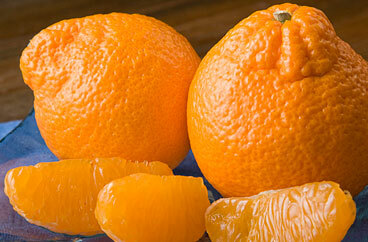 We have Minneola Tangelos on sale this week for less than half price: 87¢/lb., save $1.12/lb. Copyright © 2010 Nugget Market, Inc.